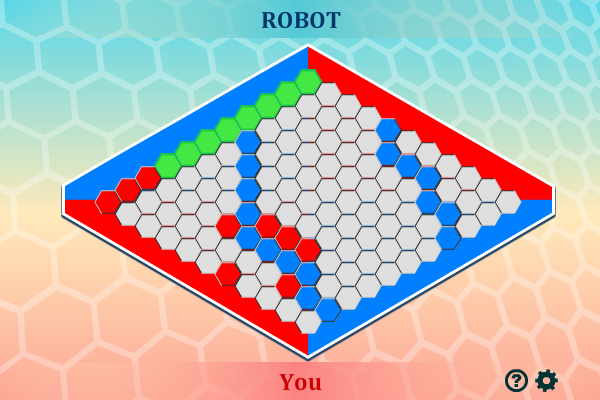 In this game there will be a grid of hexagons, the two opposite sides of the board are coloured red and blue. The object of this game is to put hexagons on the grid so that the opposite sides are joined with hexagons of your colour. This game is a classical strategy game invented by John Nash.